I recently found out that you can do a baby registry for amazon. I made one for Walmart and Target. When I found out about Amazon I made one. There are some cute baby items. Also if you know of an Amazon Affiliate you can use a link from a friend to earn them some money for making one. If you would like to make one here is my link. I will talk about a few most wanted items I wish to have. This bag is good for you diaper bag for when your out and about to have a clean safe place for your soiled diapers. I recently got a pail liner for at home for our main diaper pail. Easy-to-use, safer, and more reliable alternative to diaper pins. 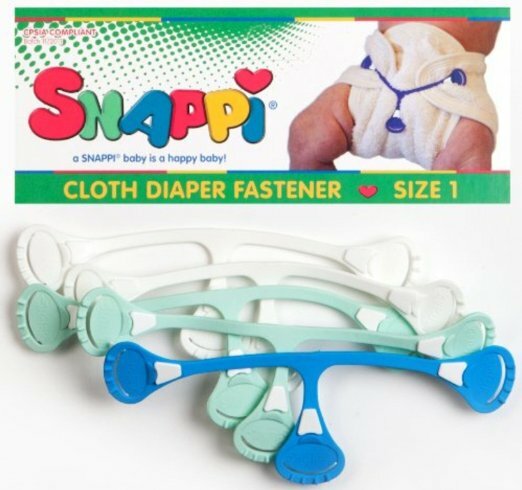 The Snappi stays in place to ensure a comfortable secure fit. Stretchable non-toxic Snappi® hooks into the diaper material to make a strong closure. These are used for securing pre-folds instead of using pins. I don't want use pins because I am scared of poking the baby. These are so easy to use. I already have two of them but they are size 2. I believe there are two sizes. 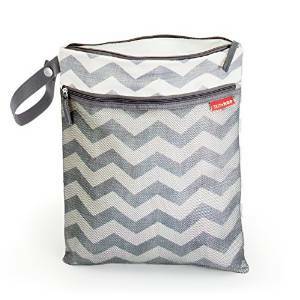 As you can see I am loving these cute chevron products. This organizer can be used to organize other items as well. I am not sure exactly what I plan to put on this but I cant wait to put it up.